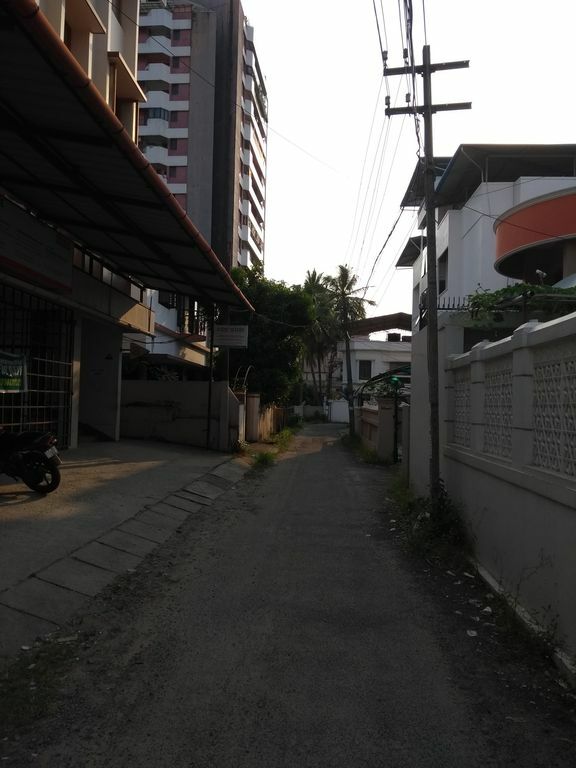 This property is the center of Cochin, which is very close to Arabian sea. It is a duplex apartment with an area of 2400 square feet. This building is located along Thripthi Lane, Kadavanthra, Cochin, Kerala. This property is in the city center and has easy access to all places in and around Ernakulam. Cochin is place worth visiting and cost of living is relatively cheap. People here are friendly. There is Sofa in the Living room and there is provision for one more single bed. The neatest and cleanest place and the best hosts to enjoy ever away from home. Eliza home is where the quality of the property matches the character of the host! It is as good as it can ever be once one finds herself/himself away from home. Not only is Eliza Homestay a peaceful and secure place to be, but it’s owner is even a greater communicator and greatest resource. John did not spare a moment to show us where to catch a cab and do the shopping. He and his wife are a great resource and most hospitable people in Kerala even the greater country of India to my humble assessment. As a matter of fact I will warmly recommend anyone to stay at Eliza Homestay while visiting the greater Kerala province. Should I plan a visit to Kerala, Eliza Homestay is certainly be the sole place to reside for the above mentioned reasons. When I booked my room at Eliza Homestay, I was in such a great hurry that I did not even read the background information about the owner and property. It was until we were taking pictures with John and his wife that the latter asked if John’s background information was the deciding factor in choosing the property as it pertains to his family living in Africa for a number of years. I told them that I never even read the background information about John and it did not even matter since their character was the most eloquent witness their genuine openness. In summary, suffice to say that Eliza Homestay and John Mathew and his wife are deeply etched in the epicanthus whener I think of India. What great and good people, what a place to find oneself in this lifetime is all encapsulated in Eliza Homestay! As one can probably see, I am having trouble selecting the highest rate of satisfaction for staying at Eliza’s. We are extremely thankful to you for your words of encouragement. In fact we were lucky to have a guest like you who was very friendly and very frank and honest in his outlook and approach. Umba was in a group of four and they maintained the property very clean and tidy. We always look forward to hosting people like you. Good luck to you and hope to meet you sometime in future. This rental property is very close to Ernakulam South Railway station . Panampillinagar is hardly one km away which is famous for many eateries and there are many Multi speciality Hospitals nearby. Proposed Kadavanthra Metro Station is only 200 meters from the property.